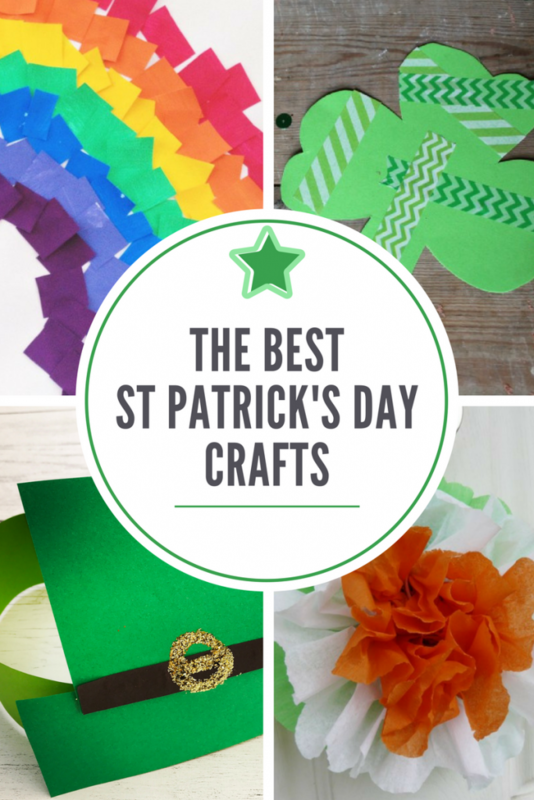 Brilliant St Patricks Day crafts your little ones will just love! 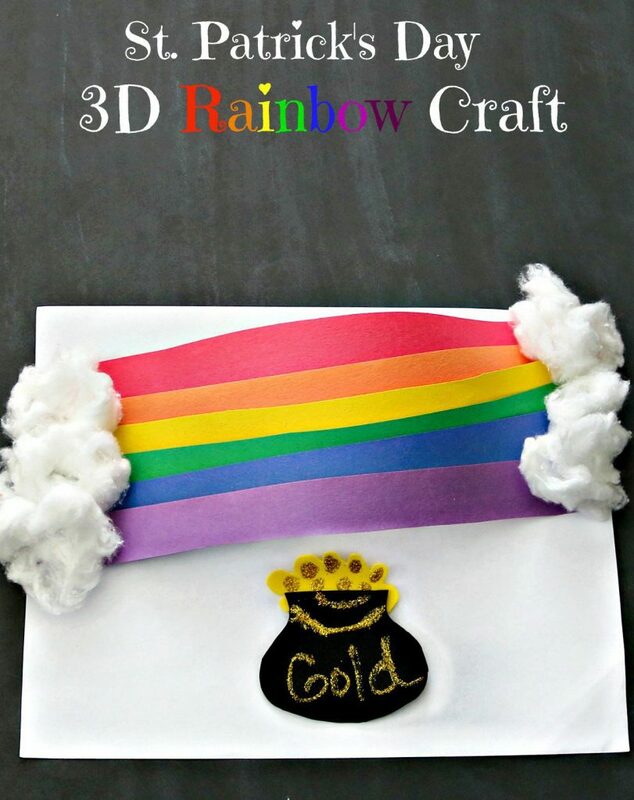 From leprechauns to rainbows get creative and enjoy the St Patricks Day vibe with the kids. 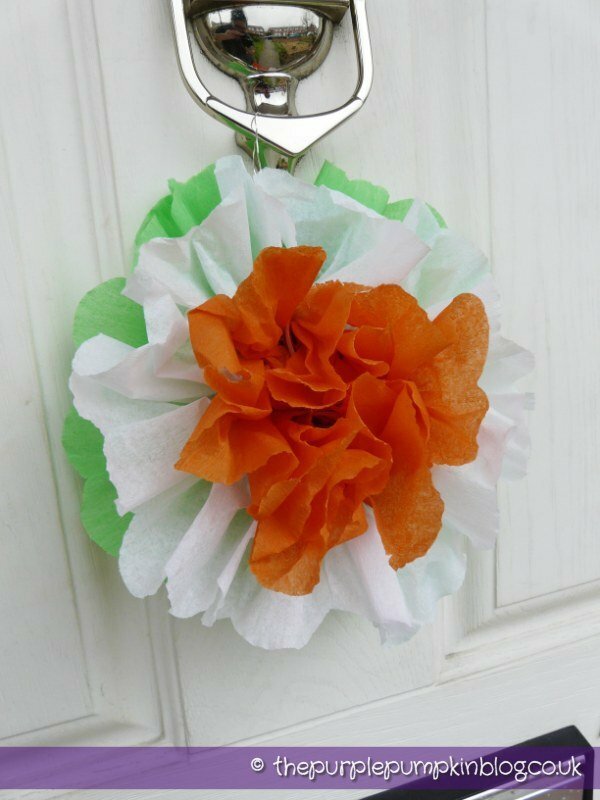 These tissue paper rosette using the colours from the Irish flag are a quick and easy to make – perfect for decorating the house ready for your St Patricks Day party. Get the Irish flag rosette instructions here from The Purple Pumpkin Blog. 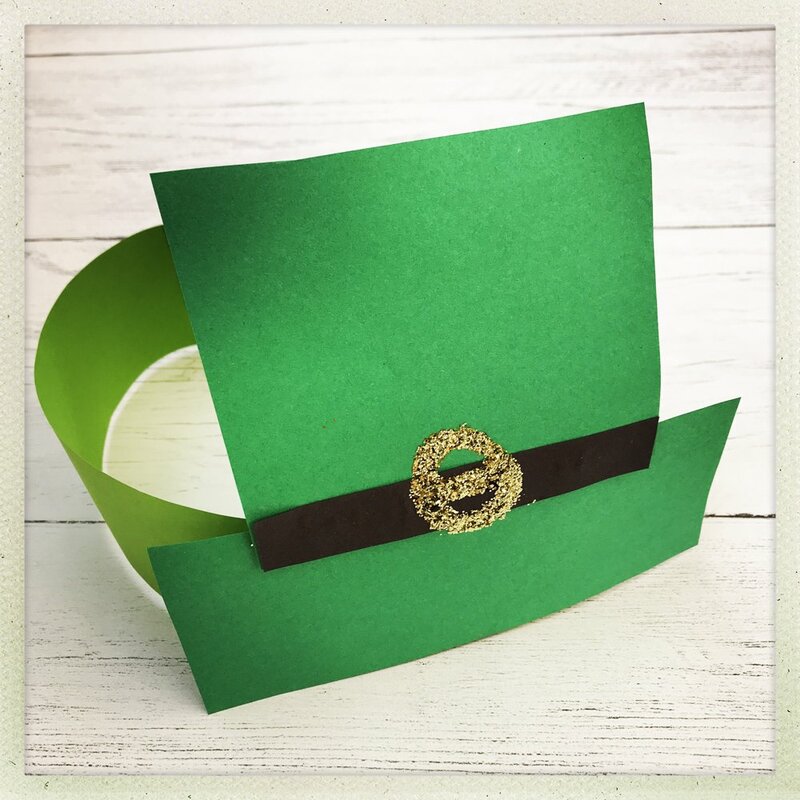 Celebrate St Patricks day in style with a leprechaun tea party and these paper leprechaun party hats are perfect! 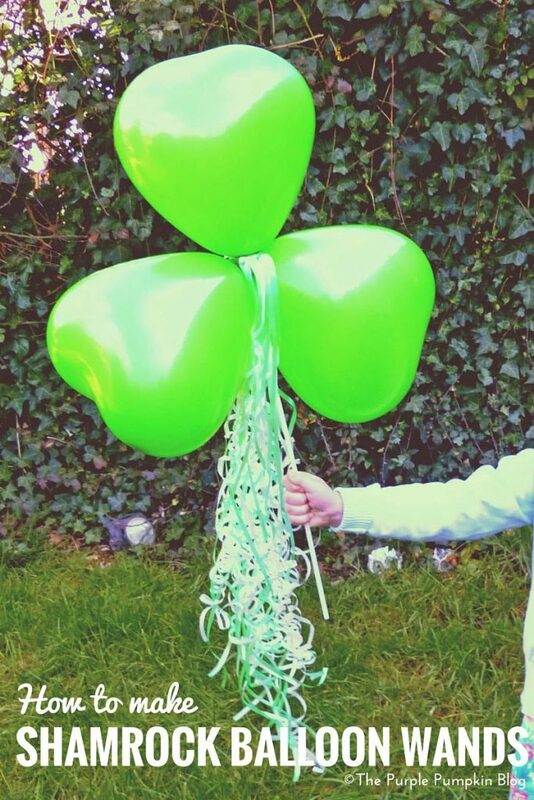 Oh we just LOVE these super fun shamrock ballon wands! Grab the instructions for shamrock ballon wands from The Purple Pumpkin Blog. Ditch the paintbrush and get busy using tin foil to create this textured, colour blended painted shamrock craft from Crafts on Sea. 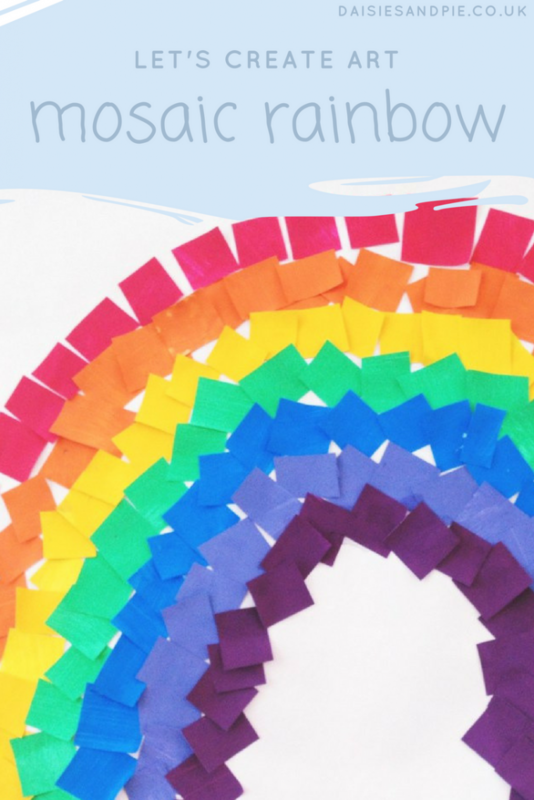 Everyone loves a rainbow craft – so bright and colourful and perfect for celebrating St Patricks Day – get the mosaic rainbow instructions here. 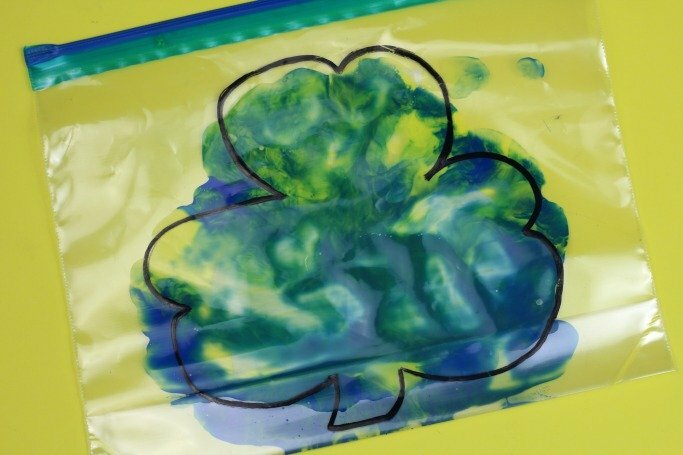 Set up this sensory painting session in just a few minutes and create colour mixed shamrocks. 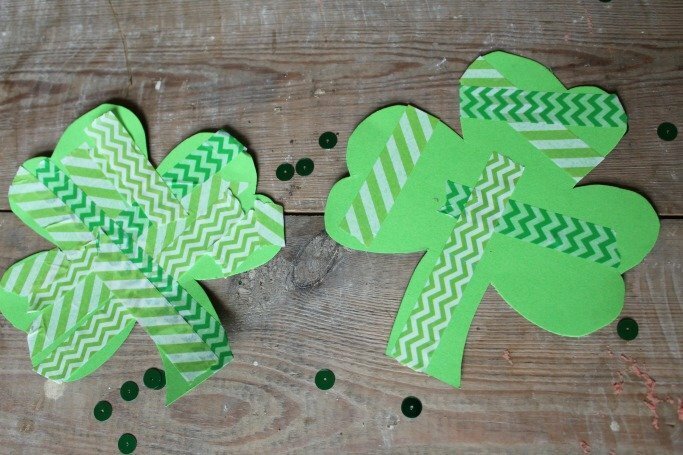 Fab St Patricks Day craft for pre-school kids. 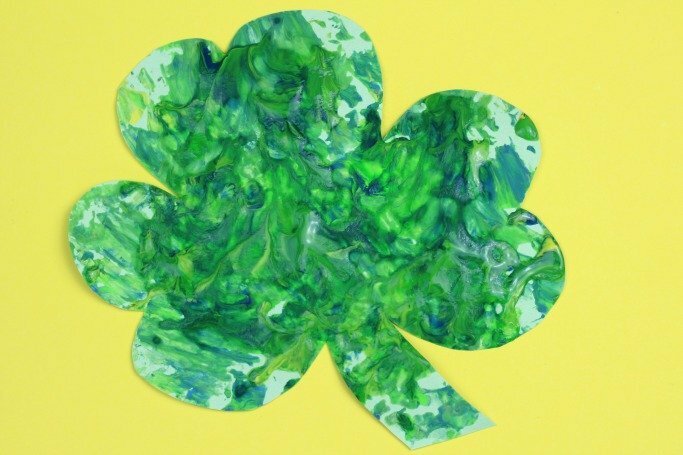 Get the colour mixing shamrock craft instructions from Crafts on Sea. Use washi tape to decorate shamrocks, grab the instructions for this super cute St Patricks Day craft from Crafts on Sea.